Unusual, offbeat and unique, Pinel & Pinel is a French luxury brand producing bespoke and multifunctional “smart trunks” and high-end leather products. The brand reinterprets the laws of luxury goods with casual impertinence, giving life to its trunks and accessories through an inspired mix of high-end design, colours and luxury materials. 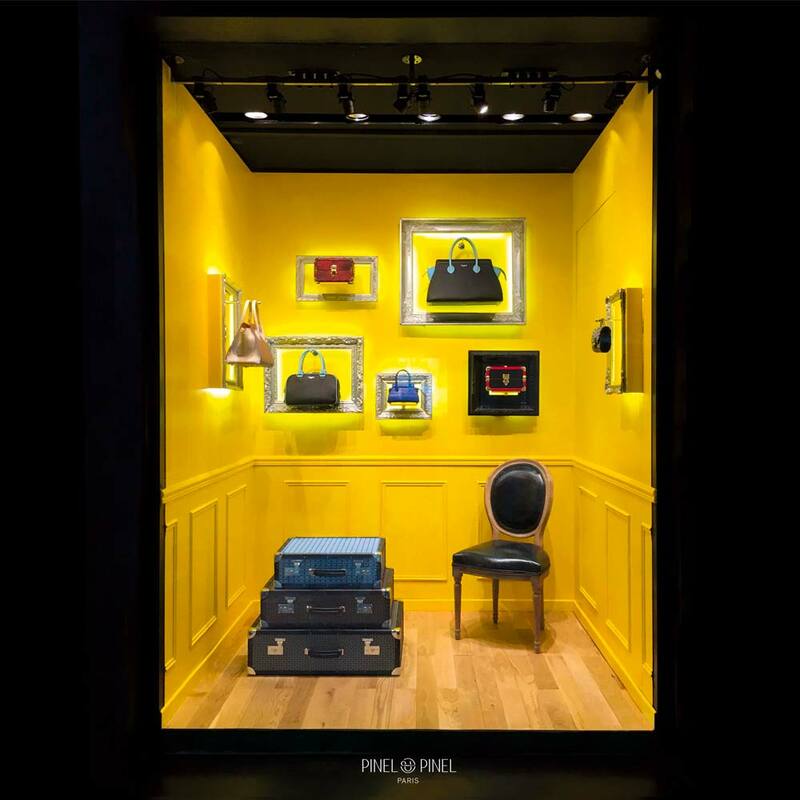 Launched in 2004, Pinel & Pinel entered straight into the world of luxury goods thanks to the creativity and “savoir-faire” of its founder and creator Fred Pinel. With a background in advertising and a long-standing passion for fine art, Fred Pinel started at young age handcrafting bags using leather and camouflage canvas. In the late 90s he began collaborating with some of the best leather workers in France, transforming antique suitcases into exclusive cigar trunks. His first, colourful collection of crocodile skin cigar cases quickly garnered the attention of the high fashion brand Colette rapidly gaining interest from cigar smokers all over the world. This then led to humidors, lighters, card holders, watches and cufflinks. Spotting a growing interest in old style trunks, Fred Pinel decided to become the first contemporary brand of luxury trunks and funded Pinel & Pinel. In the giant 1400 m² workshop in Paris, Fred Pinel works with the raw material to craft made to order and hand-made creations in close collaboration with research laboratories and leather masters. The “Factory” as he likes to call it, it’s a creative lab housed in the former headquarters of couturier John Galliano and designed by French architect Jean-Michel Wilmotte. ‘Factory’, that Pinel renews the ways in which we approach to leather goods. Here the raw material is carefully measured and cut to size, in the same way, that a stone cutter reveals the true beauty of a gemstone. Overcoming conventional boundaries and enter uncharted territory in leather goods manufacturing, Fred Pinel and his team follow a delicate and accurate process of embossing, volume, texture and transformation of the raw material. 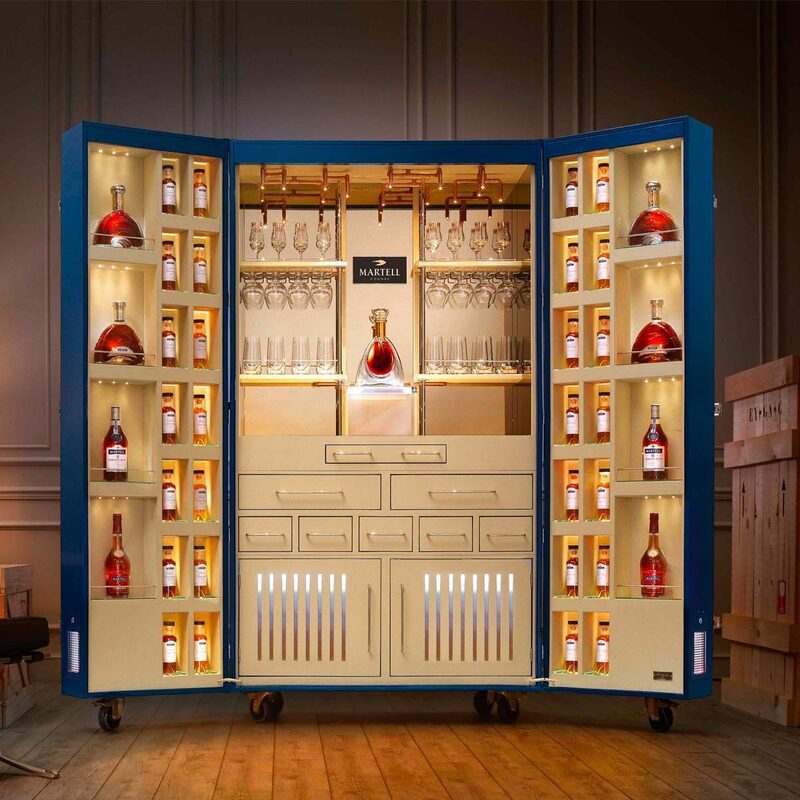 From sketch to production, the entire process takes place in his Paris workshop, resulting in edgy custom-made trunk projects for his demanding clientele. 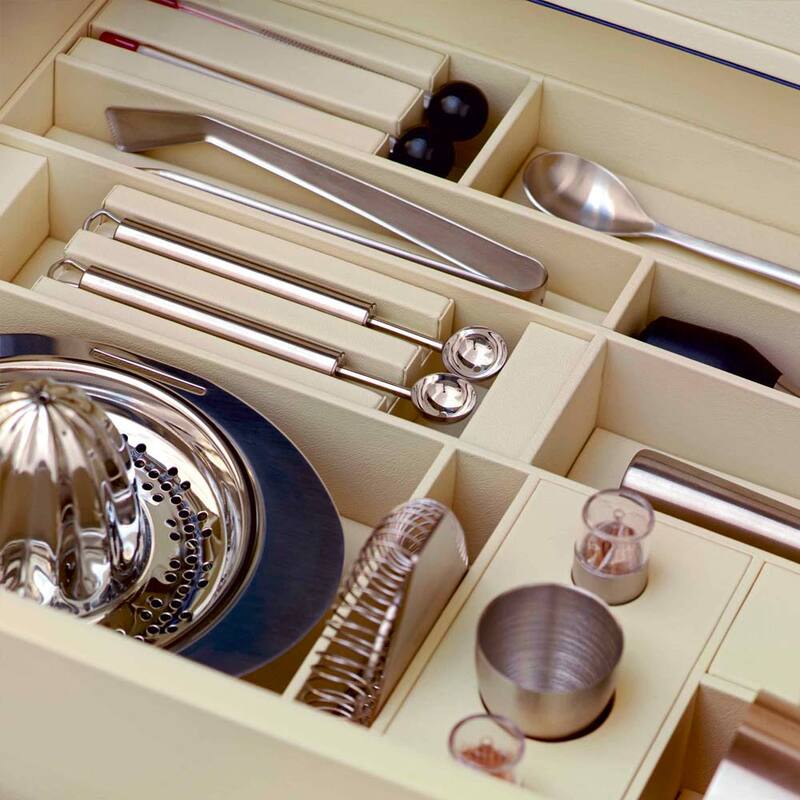 Renowned for its finishings of the highest quality, Pinel & Pinel has a long tradition of delivering exceptional creations following ultra-precise and complex manufacturing process. Every trunk is a little gem of expertise and genius: from the design stage to the finished prototype, each model takes up to 1300 hours to complete. A creative approach that perfectly ties together the balance between aesthetics and practicality, with a chick nomadic spirit at its core. 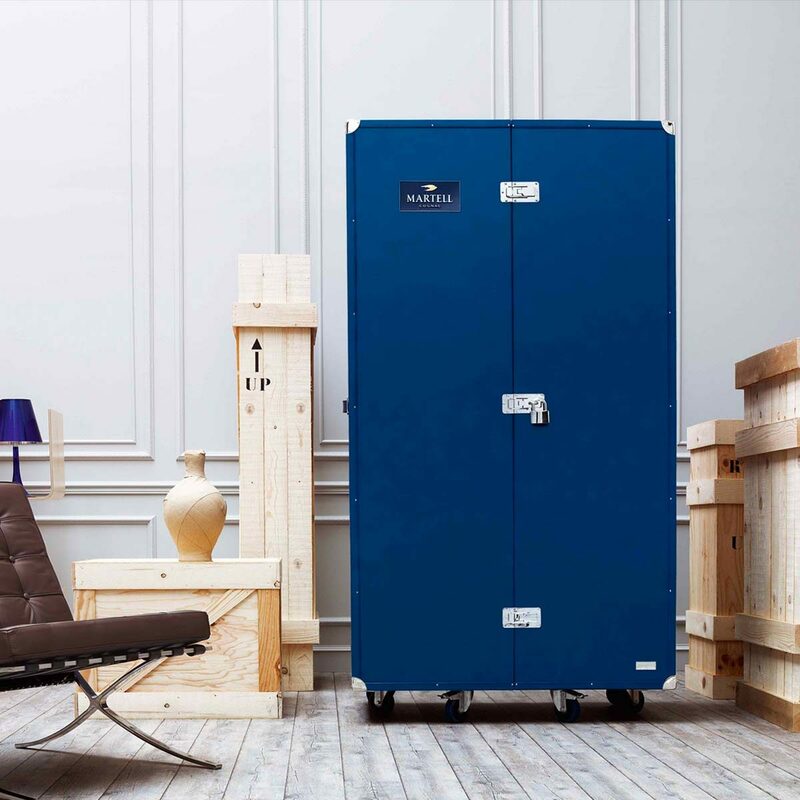 From the Bike Trunk for the folding bicycle company Brompton, to the iTrunk resembling a giant haute couture iPod, Pinel & Pinel have worked on the concept of “smart trunks” for collectors and amateurs. With his creations, Fred Pinel offers a fantastic playground where he enhances the organic and sensual aspects of a material. Whether its calf, English cow or French lamb (tanned in Italy), the leather used is always a perfect full grain and supple to touch depending on the method of treatment. Fred Pinel is not shy about thinking “out of the box”. He puts wheels on his trunks and produces them in all different colours to create “a fantastical travel item that you keep to yourself and that is only shared with others if one wants to”. This accomplishment is demonstrated by the incredible ‘Arcade Trunk’ which houses all the bar games from the 80s along with an 1800 watt sound system. A wacky idea (and the brand’s best seller), it resembles a new-look robot and presides in Captain Pinel’s workshop on Rue D’Avron. 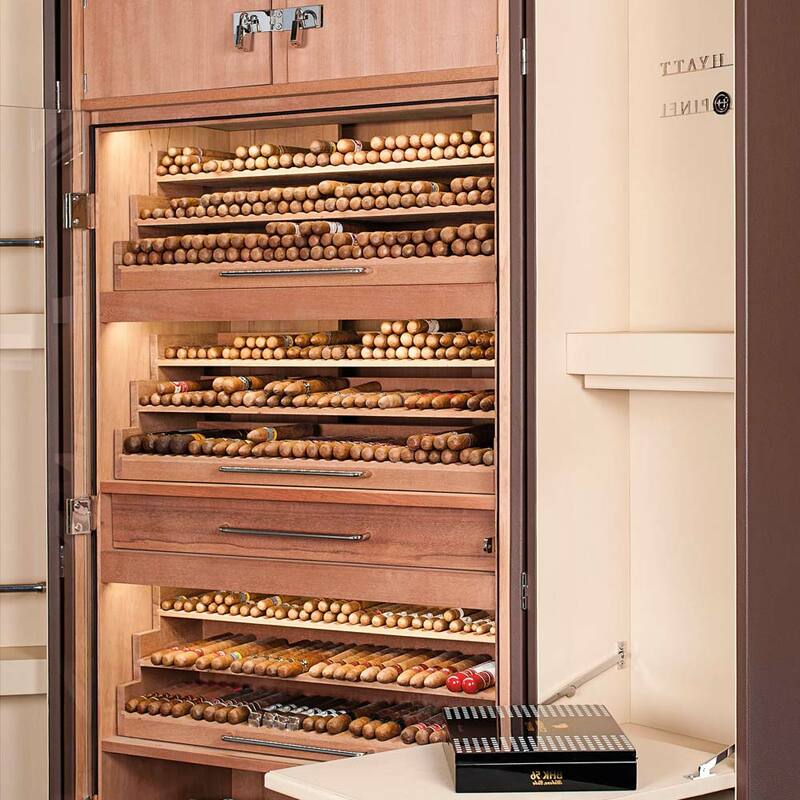 As a tribute to his first big love, Fred Pinel recently launched the Ultimate Cigar Trunk, a trunk of exceptional excessiveness, imagined for the smoke rings’ passionate and the aesthetes, comprising up to 1400 cigars. The last of his creations, the DJ Trunk, throughout the latest technology available, allows one to music mixing straight from the living-room, in style and with great elegance.